Joint French-Egyptian “Cleopatra-Japian” 2019 military training exercises have kicked off Sunday, and are planned to run several days in French territorial waters, according to the military spokesman of the armed forces’ Tamer al-Refai’s Facebook page. 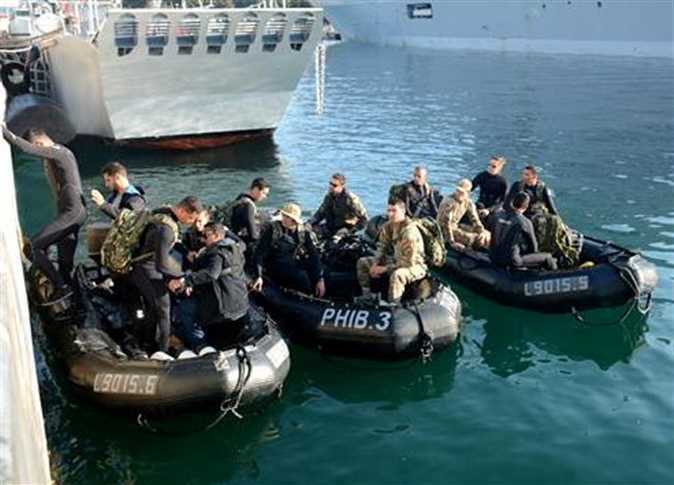 Egyptian military units arrived at the port of Toulon, France to take part in the training, including the Mistral helicopter carrier “Gamal Abdel Nasser” and the frigate “Long live Egypt”. This exercise is one of the strongest and largest joint naval exercises carried out by Egypt and France, according to Refai. Training activities began with conferences on standardizing combat concepts and implementing equipment testing procedures in preparation for pre-sailing training. The drill includes the implementation of several activities, including the planning and management of joint naval combat operations, training on atypical threats, training for inspections and the storming of suspected ships. Planned training activities for the Marine College students participating in the Cleopatra-Japian 2019 drill also began on Sunday. They will be trained on leading maritime units, amphibious operations, and marine combat management using the latest marine tactics. The drill comes within the framework of the joint exercise plan of the Egyptian armed forces with friendly countries to enhance prospects for military cooperation and support security and stability efforts in the region, the statement read.